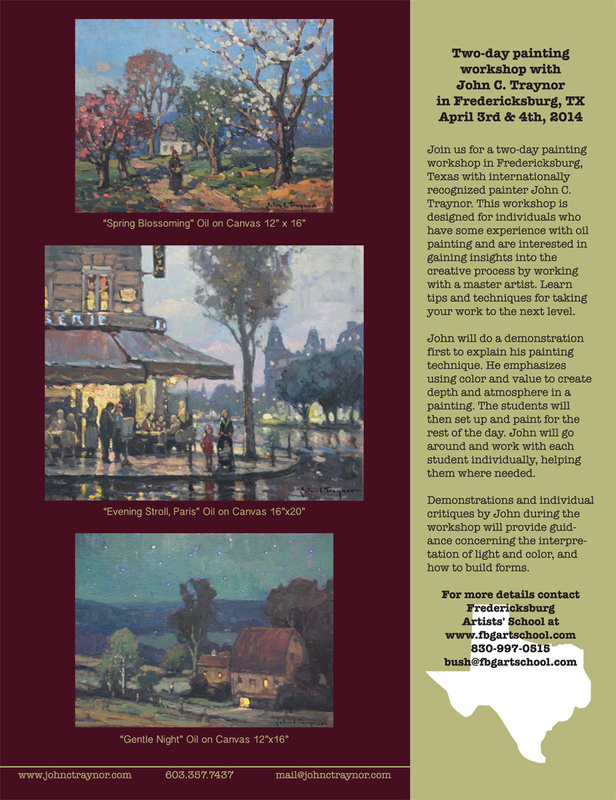 I will be in Fredericksburg, Texas the beginning of April at The Whistlepik Gallery and to teach a class. I hope I see you! Swanzey, New Hampshire – A wonderful small town and home to the famous painter, John C. Traynor. 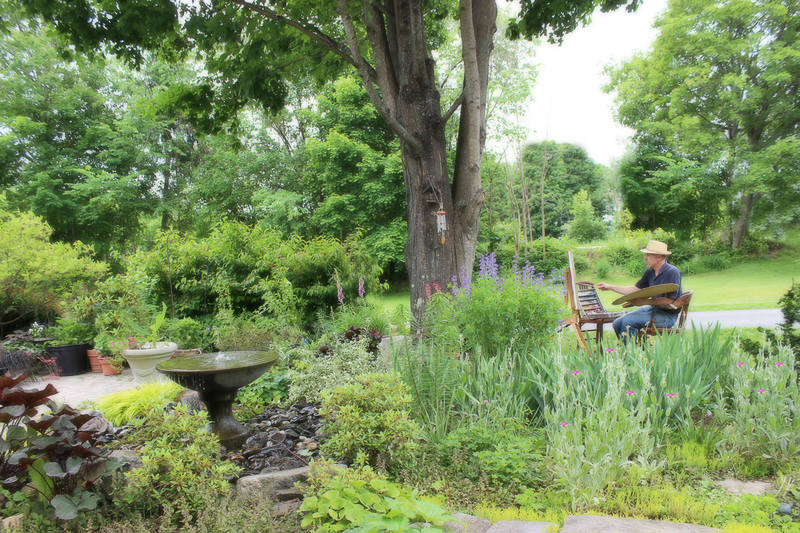 For the first time in over 5 years, John is hosting an exhibition of his gardens, house, studio and, last but not least, his nationally known paintings. 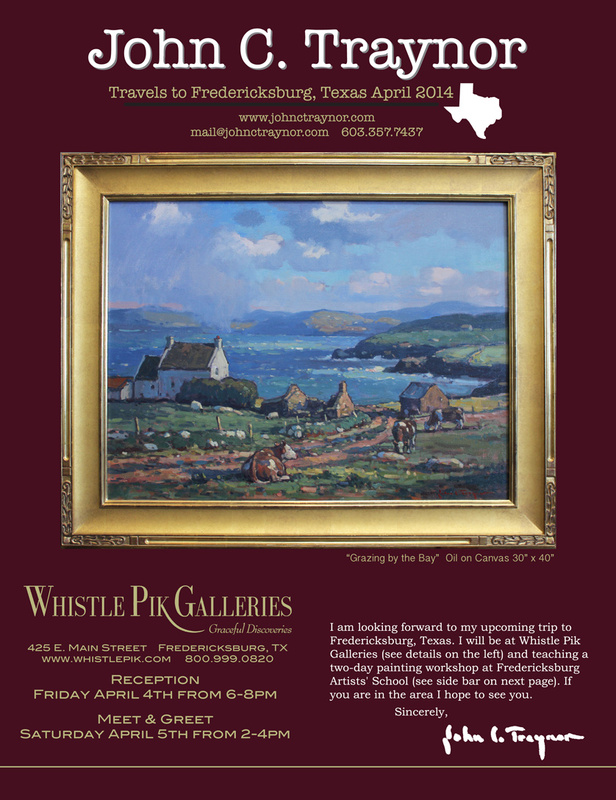 Come meet the artist and see his inspirations and his surrounds. See the flowers that become his still lifes and the studio in which he spends most of his days creating his artworks. After years of study in the US and abroad, John came to southern New Hampshire 25 years ago and has maintained his studio there ever since. It has become an amazing space, modeled after the artist studios of the 19th century. His house, a Victorian farmhouse, was built in the 1850’s and is located in the center of Swanzey. The gardens surrounding the house have been an inspiration for some of his paintings, and he also travels the world to find the subjects and moments for which he is most well known. John is a contemporary artist who paints in a classical style. His genres include landscape, portraiture and still life. He uses atmosphere and light effects to render his vision of the world around us in a style that is simultaneaously classical and expressive. 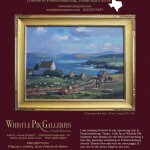 John is represented in galleries across the United States. He is also affiliated with many professional organizations, including the Salmagundi Club, where he was recently presented with a medal of honor. 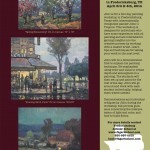 Private and corporate collections around the world count themselves among the numerous homes of John’s paintings.